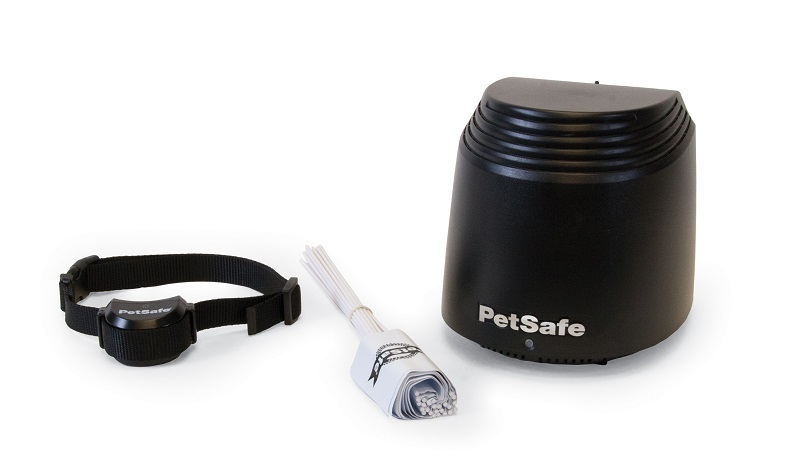 The PetSafe Super Radio Dog Fence includes a collar suitable for large and stubborn breeds. 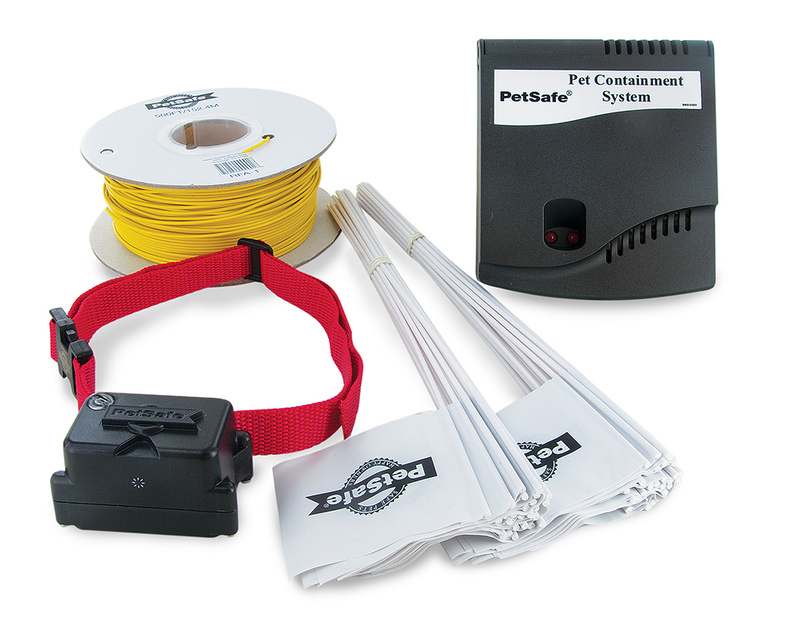 The system will contain any number of dogs, and a combination of the Petsafe receiver collars. 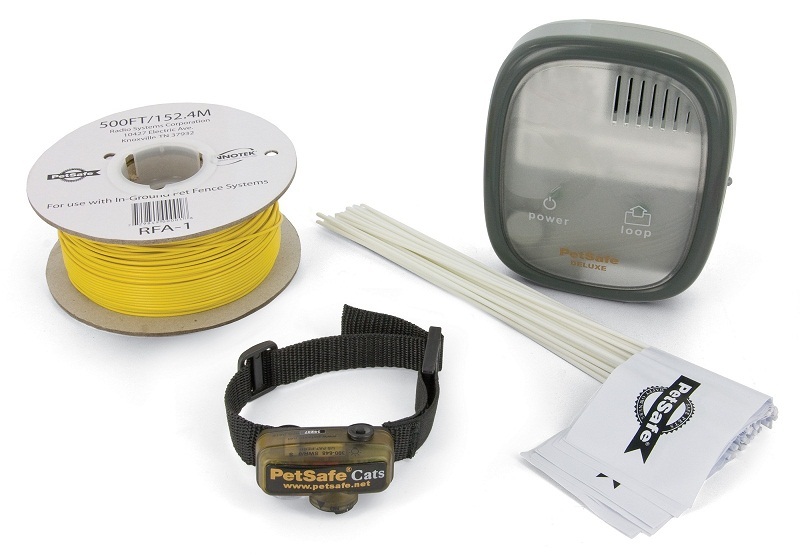 Supplied with 150m wire and the Petsafe Super Receiver. Adjustable corrections and beep warning. 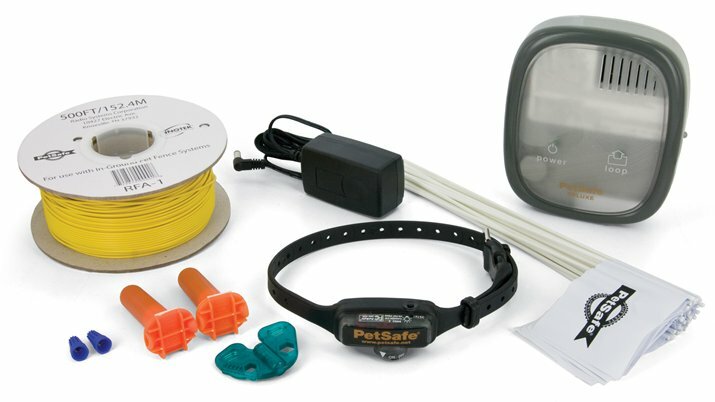 The PetSafe Radio Dog Fences have long been the market leader. 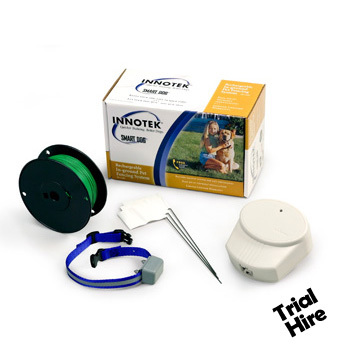 The NEW PetSafe Little Dog Fence contains small dogs from 3.6kg using a lightweight and compact collar unit | Supplied with 150m of wire | Enclose up to 10 acres (with extra wire) | Can contain any number of dogs. (additional collar required) | Bleep warning | Adjustable levels of pulse stimulation. A wireless containment fence system that sets up in minutes. 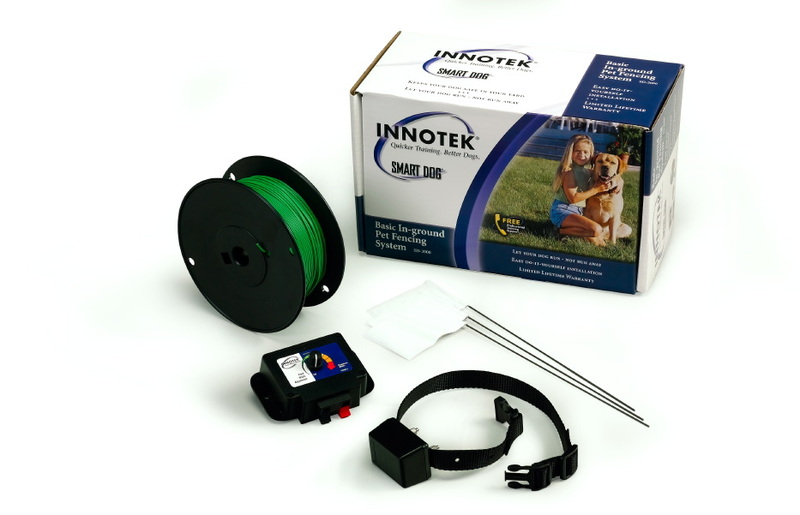 Simply plug the transmitter in a house socket and fit the receiver collar to the dog. 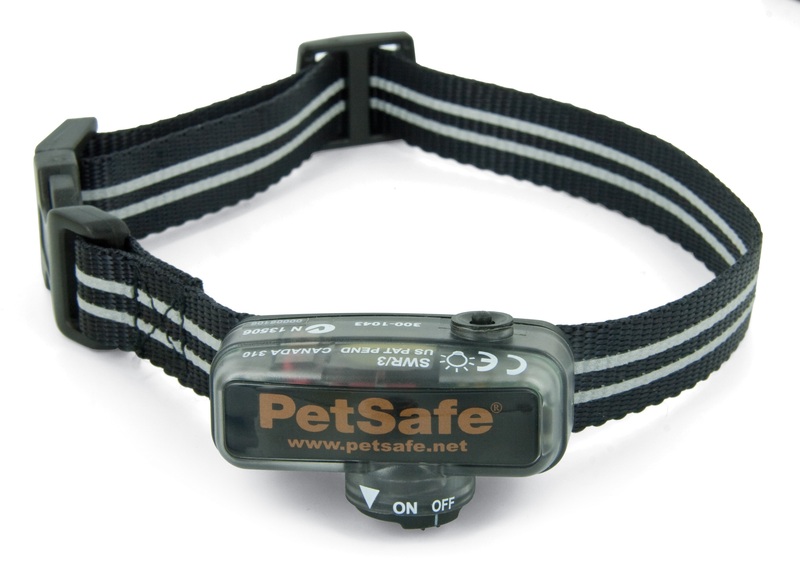 Fully adjustable radius allows your dog to go up to 90ft in any direction. The electronic invisible DOGtrace? 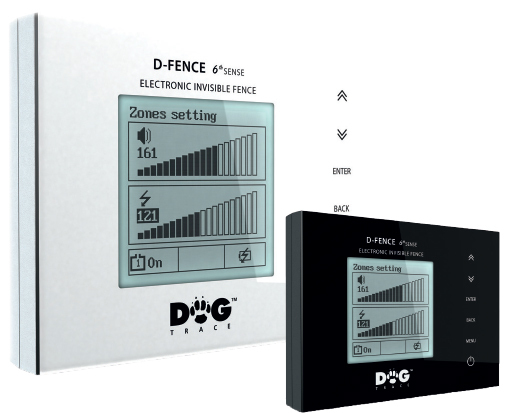 d-fence 6th Sense will help you to limit the range of movement of your dog, create the 'prohibited zones', without restricting its freedom of movement | Battery back-up in case of power cuts | LCD display and touch control (Multilingual Menu) | For any size dog | Contain any number of dogs (extra receiver collars required) | Separate beep warning zone | For installations of up to 2200m of wire | 8 adjustable levels of correction on the collar. 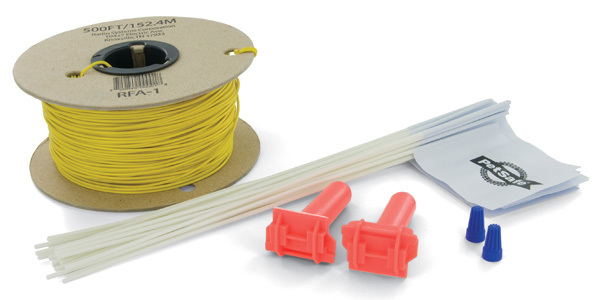 Extra roll of dog fence boundary wire. Pick from 100m or 250m. 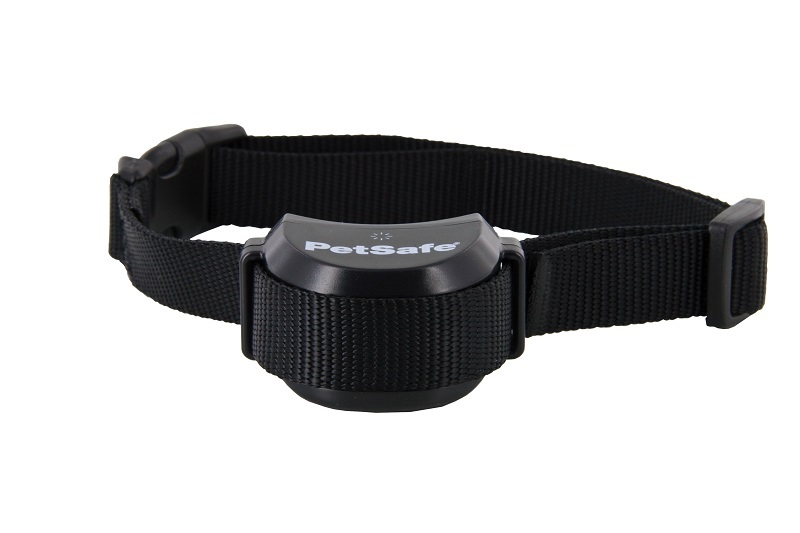 This receiver collar is suitable for all Petsafe Smart Fence systems. 4 adjustable levels of correction plus beep-only mode, Weighs only 1.5 ounces. 4 adjustable levels of correction plus beep-only mode with vibration. Designed for more hardy dogs. This extra Receiver Collar can be used to add another dog or as a replacement collar to the Little Dog Fence System or any PetSafe? In-Ground Fence System. 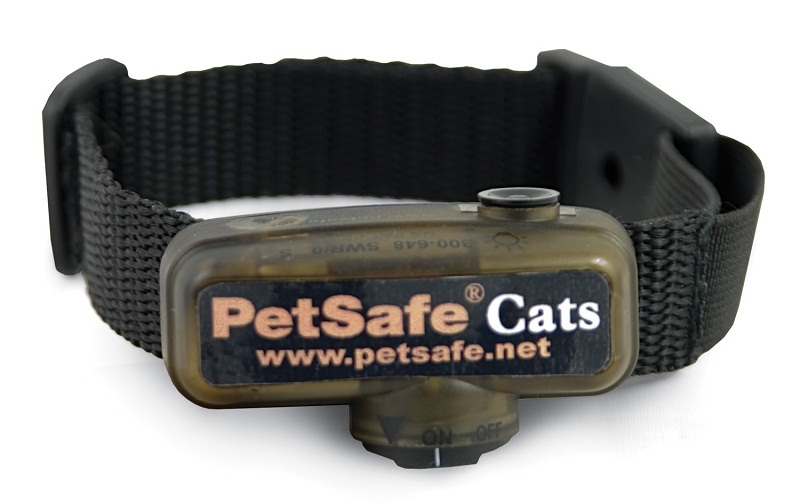 The NEW Cat Ultralight receiver is a more compact receiver unit designed for cats and very small dogs. 4 Levels of correction to suit the cat's sensitivity. SD-2225E, Extra Rechargeable Receiver collar for the SD-2100E Innotek Advanced Fence. This will add to your existing system allowing you to contain more than one dog. This extra receiver collar can be used to add another dog or as a replacement collar to the Petsafe Stay & Play Wireless Fence System. 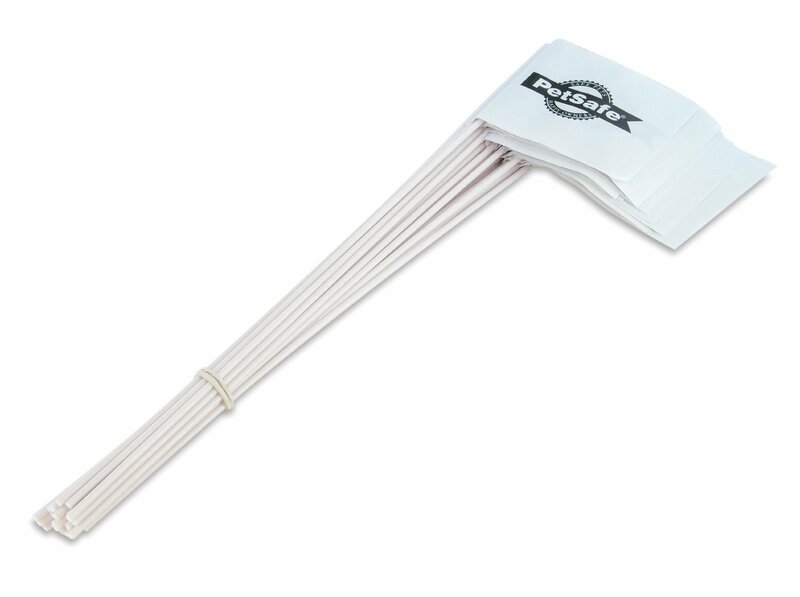 Additional receiver collar for the Dog Trace d-fence. 8 levels of stimulation and signal interference test. 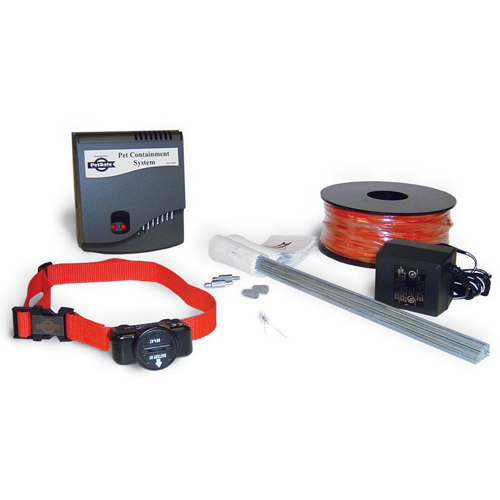 This extra receiver collar can be used to add another dog or as a replacement collar to the Wireless Fence Containment System. A bundle of 50 training flags to be used with any of the pet containment fences.